Hefty though it may be, the Intel Core i3-powered Acer Aspire E 15 delivers solid performance for its ultra-cheap price tag. With its sleek-looking shell, a generous selection of ports, impressive battery life, and comfortable backlit keyboard, the E 15 is well worth its $350 sticker price—particularly because you can easily upgrade it with an SSD and more RAM to squeeze even more performance out of it. The Aspire E 15 is the very definition of a top-value laptop, offering a useful set of features and good hardware for a low price. It's only $20 more than the Dell Inspiron 15 3000 Series (3558) unit we tested, but performs better, includes a superior display, and has a longer-lasting battery. There are some even cheaper options that involve compromises, like the HP Notebook 15 (ba009dx). 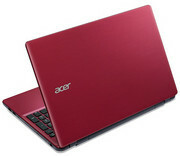 But for the best combination of value and feature set, the Acer Aspire E 15 (E5-575-33BM) is our top pick. The Acer Aspire E 15 E5-575-33BM offers a great combination of solid performance, good battery life and strong usability for the money. You'd be hard-pressed to find another 15-inch laptop with features and build quality this good selling for anywhere near $350. Positive: Long battery life; large screen; backlit led panel; support USB-C. Negative: Only 4GB Ram. Model: Are you looking for your ideal budget-desktop replacement laptop? 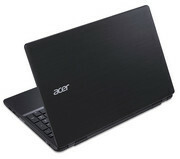 Acer targets the Aspire E Series laptops at everyday users, who they want to attract with “lots of appealing options and an attractive design” (www.acer.com). Powered by an Core i3 processor of the seventh generation (Kaby Lake), the Acer Aspire E 15 (E5-575-33BM) delivers high performance for its price of about $350. Together with a 15-inch Full HD display and respectable battery life, the computer is more than adequate for everyday tasks and multimedia consumption. 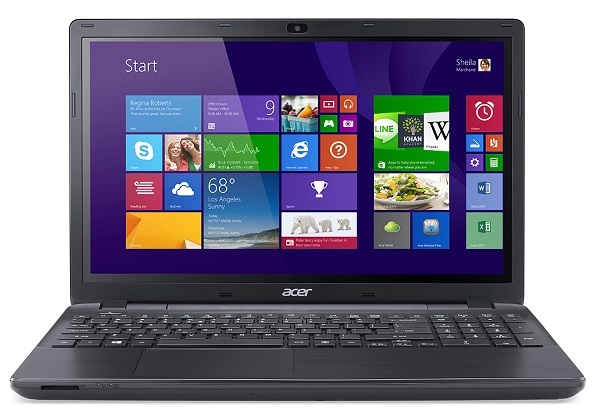 Acer's Aspire E 15 has a dark gray, matte lid with a subtle crosshatch pattern and texture. The deck looks like brushed aluminum. As expected in this price range, the case is actually made of plastic. According to www.laptopmag.com, the notebook seems to have solid build quality. Their tester writes, “It didn't creak or buckle during my use; the keyboard didn't show any signs of flex while typing either”. 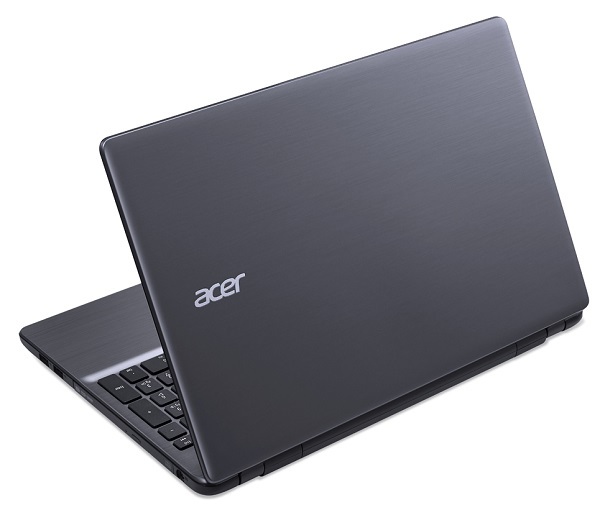 In terms of size and weight, the Acer Aspire E 15 (E5-575-33BM) is about on par with other budget 15-inch laptops, but it cannot keep up with ultrabooks. According to www.laptopmag.com, the Dell Inspiron 15 5000 is heavier but thinner, while the HP Notebook 15-ba009dx is both thinner and lighter. However, the differences are minimal. The laptop features a USB 2.0 port, two USB 3.0 ports, a USB 3.1 Gen 1 Type-C port, a VGA port, an HDMI port, a 3.5 mm audio jack, an SD card reader, Gigabit Ethernet, and even a DVD burner. uk.pcmag.com evaluates, “There's a strong degree of port variety, which is a plus for something inexpensive and intended to be versatile”. www.laptopmag.com summarizes: “Ports: Everything you need plus DVD”. According to www.pcworld.com the selection of ports is relatively generous. pcverge.com even describes the connectivity as excellent. www.laptopmag.com thinks that the buttonless touchpad provided reasonably-accurate navigation around the desktop, but its surface felt a little slippery to their reviewer. Moreover, their reviewer describes that the pad seemed to have a little trouble with pinch-to-zoom, as it did not always respond right away when he performed the gesture in the Chrome browser or Windows 10's photo app, while three-finger swiping to switch between apps worked every time. According to uk.pcmag.com the touchpad was responsive, looked nice trimmed in silver and the construction as a whole was sturdy enough. The reviewer from www.pcworld.com points out that he would wish clicking took a bit less effort, but he appreciated how the trackpad reliably ignored unintended palm swipes. laptopunderbudget.com confirms troubles with gestures, “The trackpad also disappointed us quite a couple of times, by not taking the gesture inputs properly.” And mirchitech.com also shares the opinion that the surface felt slightly slippery and their reviewer also describes a small problem with pinch-to-zoom. 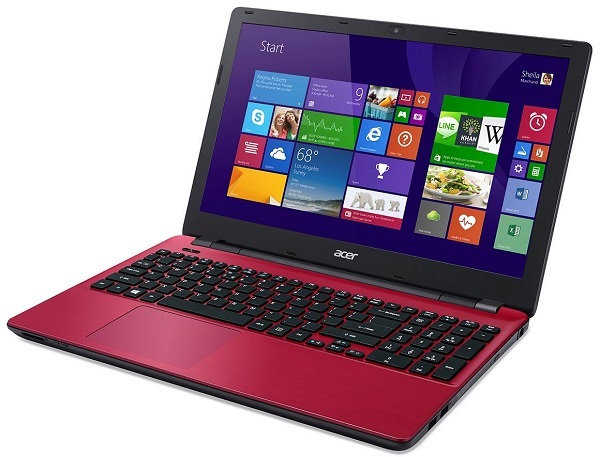 The Acer Aspire E 15 (E5-575-33BM) comes with a Core i3-7100U CPU, 4 GB of RAM and a 1 TB 5,400-rpm hard drive. Its performance is just enough for light multitasking. The reviewer from www.laptopmag.com describes: “With 12 tabs open in Chrome and a local 1080p video playing in another window, I experienced minimal lag when switching between the tabs. However, when one of the tabs was streaming a video (in addition to the local video) or downloading a large web page, things slowed down to the point that letters I typed in a Google doc didn't appear until seconds after I hit the keys.” In my opinion, it depends on your expectations whether you will be satisfied with the performance. This is definitely not a gaming notebook, but a laptop for watching videos, browsing the web, word processing, and similar tasks. You might wish for a higher RAM capacity during intensive multitasking. The laptop will certainly perform better than systems with Pentium or Celeron processors, but it can by no way keep up with computers with Core i5 or Core i7 processors and dedicated graphics card. As expected the benchmark results of various on-line magazines confirm this. It appears that the built-in hard drive belongs to the slower ones of its kind. www.laptopmag.com writes, “The E 15's 1TB hard drive copied 4.97GB of mixed-media files at a rate of 36.6 megabytes per second, which is significantly slower than the result for the Inspiron 15 5000 (83.4 MBps) and a bit lower than the HP Notebook 15-ba009dx's showing (40 MBps), both of which have 5,400-rpm hard drives.” They summarize: “You can watch Full-HD movies on Acer's laptop, but don't think about playing anything more than casual games on it.” Moreover, the system is easily upgradeable according to them: “If you want to improve the performance of the E 15 E-575-33BM, you can upgrade its RAM and storage drive easily and inexpensively.” www.pcworld.com confirms that the integrated Intel HD Graphics 620 was more than fine for typical basic activities like movie watching and web browsing. pcverge.com shares the opinion that the system is fine on day-to-day tasks like office document editing, webcam conferencing, and web browsing, but “multimedia editing will be definitely on the lower side of average, but it is still adequate for a general user who won’t be editing photos beyond the occasional color correction and cropping.” Mirchitech.com summarizes, “You can watch Full-HD movies on Acer’s laptop, but do not think about playing anything more than casual games on it”. www.laptopmag.com praises the laptop for its battery life, which they think is “great for the size”. The laptop lasted 8 hours and 16 minutes in their Laptop Battery Test (continuous surfing over Wi-Fi), which is more that 1 hours and 20 minutes longer than their category average (6:52). uk.pcmag.com confirms that the Acer Aspire E 15 (E5-575-33BM)’s battery life is excellent for the category. It lasted 9 hours and 49 minutes on their rundown test, which is better than most of the main competition. Also www.pcworld.com confirms that this Aspire E 15 delivers respectable battery life, especially given its price, screen size, and resolution. laptopsuggest.com says that the massive 6-cell 2800mAh Li-Ion battery pack will hold a charge for up to 12 hours, but they suggest that it is still not a quintessential travel companion (too big and heavy). According to laptopunderbudget.com the laptop gets fully charged in 0 to 100 in just around 2 hours, which they call great. According to www.laptopmag.com the Aspire E 15 stayed cool and comfortable to the touch throughout their use. Their reviewer measured 78 degrees Fahrenheit at the touchpad (25.56 °C), 84 degrees (28.89 °C) at the keyboard and only 85.5 degrees (29.72 °C) at the underside after streaming 15 minutes of video. laptopunderbudget.com mentions that the laptop is able to provide a reliable performance without getting heated much thanks to its seventh generation Intel Core processor. According to them the laptop stayed cool even after 6-8 hours of continuous usage. The eight on-line magazines I have consulted for this press view did not give any information about system noise. In view of the used hardware I assume that the system features an active cooling system. Together with the mechanical hard drive one thing is for sure: This system will not work silently. Furthermore, information about how the system behaves under prolonged high load (stress test) is sadly not available on these web-pages. "The speakers leave something to be desired, as they're adequate at best, but certainly not high quality. They can get quite loud, but at full volume the sound is tinny, especially the highs, and there's not much bass”, reports uk.pcmag.com. www.pcworld.com confirms this impression. According to them, the speakers are loud but a bit muddy and the overall sound quality is what you would expect from a $350 laptop: tinny, lacking bass, and not much in the way of clear detail. “Too much noise”, summarizes www.laptopmag.com the quality of the webcam. Their reviewer describe his experience when he took a selfie under the flourescent lights of his office: “Both my facial features and the background behind me were filled to the brim with extra visual noise. Fine details like the hairs in my beard and the lines on my skin were hard to make out”. “As for the 720p webcam that sits just above the screen, it's serviceable for business video chat. Colors look vivid, but the image is distractingly blotchy and noisy”, evaluates www.pcworld.com. According to laptopunderbudget.com, the webcam is quite average. While photos taken in bright indoor conditions were decent enough and the colors seemed fairly accurate, images were fuzzy at times. According to them the camera is fast.